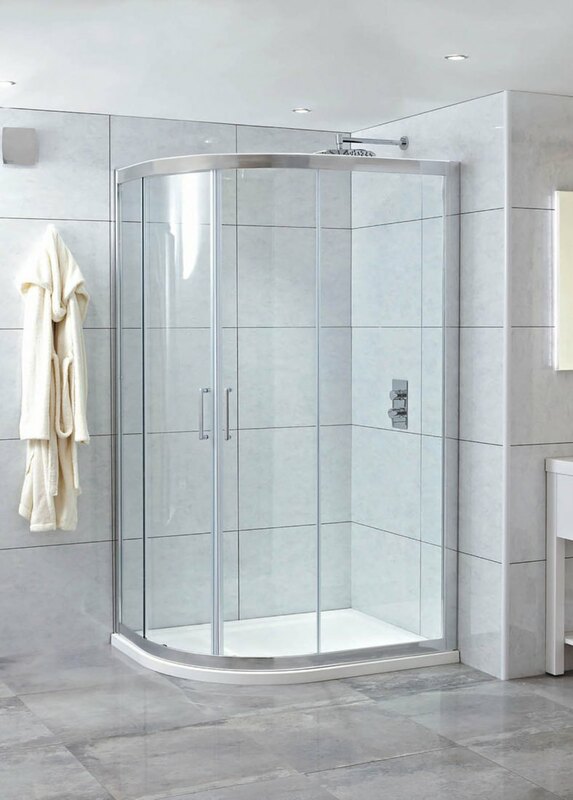 The Phoenix Spirit Offset Quadrant Shower Door can be fitted into tight spaces as it is compact and modestly proportioned to offer the perfect contours for a corner installation. 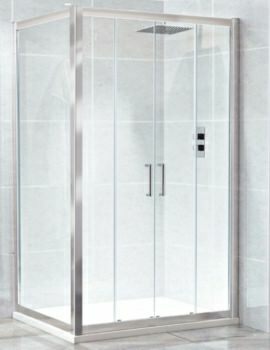 The Twin offset Door is framed with highly polished aluminium and has chrome handles making it an elegant combination of glass panels with solid shiny metal. 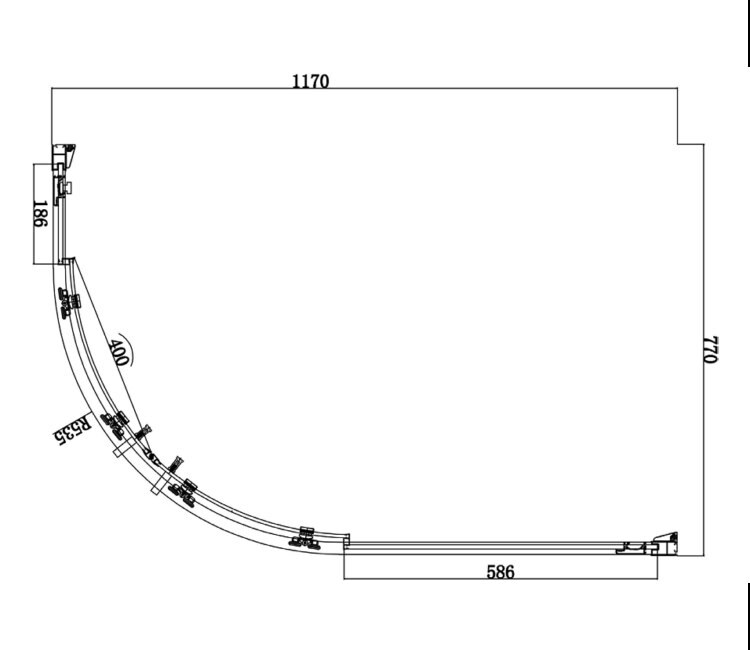 It is provided with double ball bearing rollers and quick-releasing mechanism to make the movement of doors as smooth as possible and also easy to wipe clean. 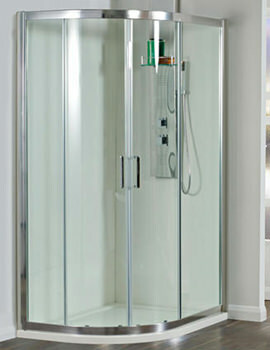 Easy Clean coating on the panels helps reduce limescale buildup preventing your shower door from losing its sheen. 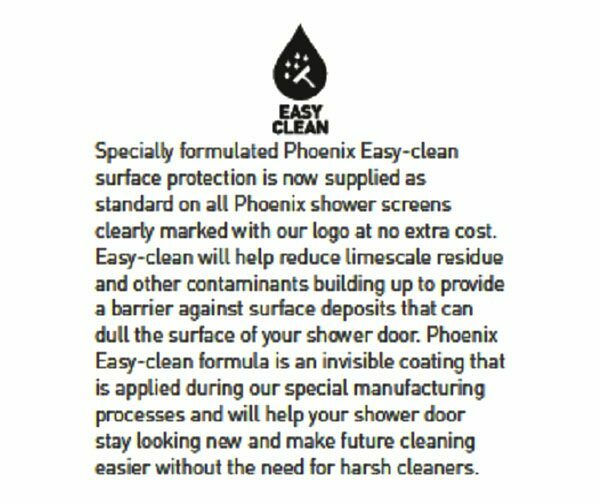 10 Years of guarantee from Phoenix against any manufacturing defects. 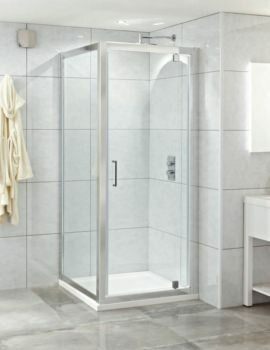 Phoenix present option for Quadrant shower Tray. Please Note : Image is for illustration purpose only.